Dating Exclusively With an Active Profile Online? In this week’s “Ask the Cyber-Dating Expert,” a reader who’s in a 6-month relationship is frustrated that her steady boyfriend still wants to keep an active online dating profile up. Should she tell him to take it down? Is she really in an exclusive relationship? Does this relationship have a chance? I’ve been seeing this person for around 6-months now. When we first started interacting I was informed he was on a dating website. In my mind, it sounds like a hook-up or one-night stand type of site. I was fine with that because we had just met and I admired his honesty. Well now, we’ve been discussing being together long-term and moving the relationship forward from just seeing each other to more of a commitment, which is good. Julie, I haven’t been in a serious relationship in over three years and that’s by my choice. I haven’t stumbled upon anyone I could genuinely be happy with. This one though is different. I was thinking I truly made him happy and he did the same for me. Apparently, I don’t think that’s the case. And what I’m not going to do is tell him I want him to be off the site and then months or weeks later find that he’s hiding his profile. I believe happiness should flow. Am I overreacting? What should I do? I’m sorry you’re going through this kind of pain and I can assure you, that you’re not alone with your concerns. I can guarantee you that if you feel this way after six months of being in a “committed” relationship, that you will feel even worse after the next six months on your one-year anniversary together. Can you imagine yourself loving your guy, talking about the future, moving in together, and then while he’s sleeping checking to see if he has a hidden dating profile on the site? Do you really want to enlist the help of your friends to spy on him? Do you really want to be with an insecure man who has the need to be loved by other women when he’s falling asleep in your arms every night? This, my friend is heavy drama and isn’t love. When a man truly loves a woman and wants to call her his own, he plans a future, will let her know he’s exclusive, will take his online dating profile down, and permanently retire his Tinder app in a digital second. He won’t let another man will steal his girl away from him. I have a problem with ultimatums in relationships, but I do believe that honesty and communication are everything. Kudos to your guy in being honest and admitting he has a profile up. Chances are his need for attention goes deeper than his love for you and probably goes back years-and-years before he ever met you. If you love him, ask him to go to counseling for this and offer to go with him as a couple. This way you both are investing in your future. I’m not one to toss a 6-month relationship away, but no person should be made to feel like they are an option when they are talking about the future with someone they love. Let him know he makes you happy and that having an active dating profile up makes you uncomfortable. Ask him how he’d feel if you had a profile up as well and LISTEN more than talk. If he agrees to take the profile down and work out these issues together, you could have a chance of happiness. If you believe he’s fooling around on the side and actually have proof, send him packing, put your own profile up and block him so you can move on. You’ll know pretty quickly if you’re the one, or just the one for now. Do you have a dating dilemma? Send your questions to “Ask the Cyber-Dating Expert” here. READ: Does it Matter if We’re Facebook Official? Julie Spira is America’s Top Online Dating Expert and Digital Matchmaker. She was an early adopter of online dating, having created her first profile over 20 years ago. Today, Julie and her team create Irresistible Profiles for singles on the dating scene. 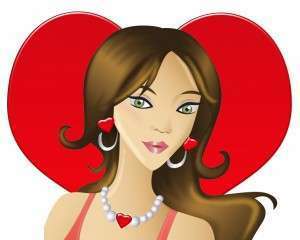 For more online dating advice follow @JulieSpira on Twitter and sign up for the free Weekly Flirt newsletter. 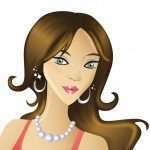 Online Dating Advice – Are We in a Relationship? When there’s mutual chemistry with someone you’ve met online and you start texting daily, are you in a relationship just yet? 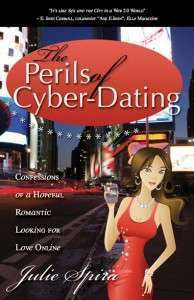 A young woman asks the Cyber-Dating Expert for help on what to do when she sees his active profile online. I signed up for eHarmony as a one month experiment and wasn’t sure what to expect. I got lucky and the first guy I met I felt instant chemistry with and he felt the same way! We went on a second date the following week and also had a great time. We both work a lot so it was hard to schedule our third date before I left for an out-of-town trip, but he has been texting me everyday since I’ve been gone and today even sent me a message that he is kind of missing me : ) I have been missing him, which seems so weird for someone I have only hung out with twice, and my reply was that : You just made me smile. I’ve been busy traveling and was trying to be focused on one person rather than adding 2-3 more guys to the mix. My membership renewed automatically for a second month, but I hadn’t logged on since I met this wonderful guy. Today, I logged on after receiving a renewal notice only to see that he had been ‘active’ today on the site. I’m not sure what that means, but my stomach dropped. We aren’t exclusive, he isn’t my boyfriend, but it bothers me. Is this normal? Do I just let the chips fall as they may? He texted me again this morning and last night but I am totally freaked out now and want to protect myself from getting hurt. Your new guy who you had just two dates with is a member of a dating site and is receiving matches and emails from women who have written to him or would like to start the communication process. Out of curiosity, he’s probably reading them and may not be responding to them, especially since he’s now texting you at night and in the morning, and perhaps other times throughout the day. You’ve had two dates with your dream guy. You have a major crush on each other. This is very exciting, but it was only your first online date. Enjoy staying in touch with your guy and respond to his text messages while you’re out of town. You’re definitely on his mind and men tend to miss women when they’re gone. I know of a man who logged onto his profile after six months of dating someone exclusively. He took one last peek and one week later, he proposed marriage. Men are allowed to look at other women, online and offline. At some point, if you decide to become exclusive, you should talk about taking your profiles down together. Let’s get to the third date and see how it goes. This is a brand new dating experience for you, and as you said, he’s not your boyfriend yet. Let him take the lead and yes, let’s see where the chips may fall. Don’t cancel your online dating membership just yet, but if in your heart you don’t want to log on, then just stay the busy happy person that you are.